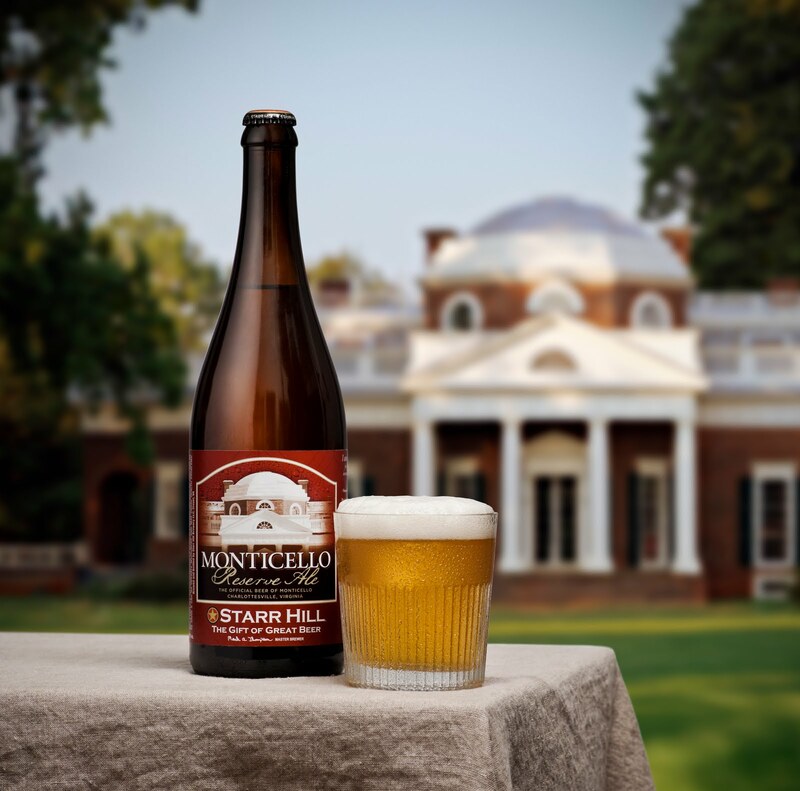 MyJoogTV.com just released a video featuring Starr Hill Brewing's Monticello Reserve Ale. This is the official beer of Monticello and brewed using ingredients Thomas Jefferson likely used two centuries ago. Whereas Jefferson is well known for his attempts to cultivate wine grapes, he was also an avid brewer. However he never used a preset recipe and instead, each year brewed beer based on that year's harvest. He also didn't grow barley, but grew wheat and corn instead. These are the main ingredients to the Monticello Reserve Ale as well as East Kent Goldings hops, which may have been available during Colonial times. We highly recommend this beer - nice citrus flavors with a touch of sweetness balanced with smooth mellow finish. Cheers. 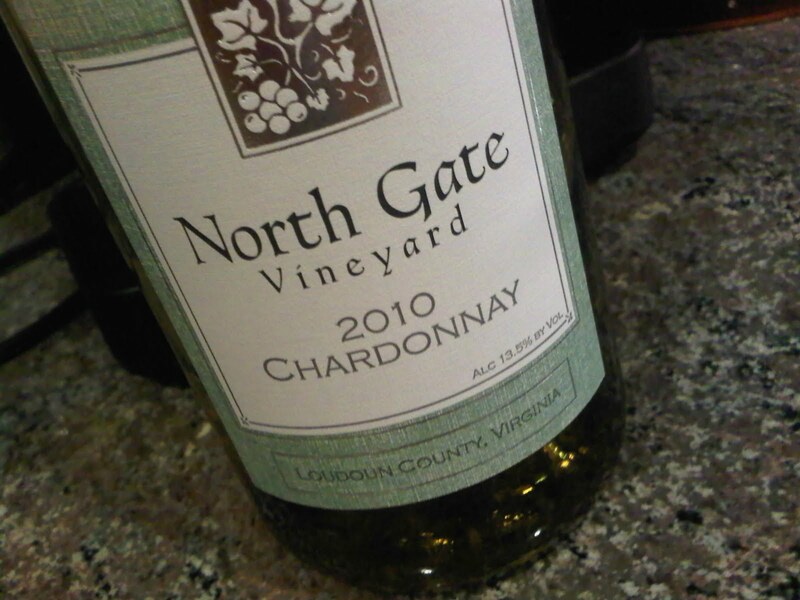 Being a little stuck inside stir crazy, we headed out for a short trip to Loudoun County to visit two wineries: North Gate Vineyards & Hiddencroft Vineyards. North Gate is owned and operated by Mark and Vicki Fedor, who were working the tasting bar on our arrival. They've been tending fines in Loudoun for almost 15 years and were the initial winemakers at Corcoran Vineyards several years ago. At this point in time, the winery is sold out of some wine (Viognier and Petit Verdot), but we sampled their 2010 Chardonnay, 2010 Petit Mensing, 2009 Cabernet Franc, 2009 Merlot, 2009 Meritage, and NV Apple. All the fruit is sourced from Loudoun County and the resulting wines were rather enjoyable. And affordable - all under $20; which makes their Meritage (Cabernet Franc, (47%), Cabernet Sauvignon (26%), Petit Verdot (21%), and Merlot (6%)) a rather nice deal. The Chardonnay was also a favorite, being both fruit forward and slightly creamy after having been fermented and aged in a combination of older (neutral) and new oak. The Apple and Petit Mensing were also very nice - with any residual sugar equally balanced from the wine's acidity. We plan on getting easier access to their wines, since the winery participates in the Winter Falls Church Farmer's Market. From North Gate we headed through Hillsboro to Hiddencroft Vineyards after not having visited the winery in a numb er of years. We did get a chance to sample their Gold winning 2009 Cabernet Franc, which was in the running for last year's Governor's Cup. On arriving at the winery we were briefly disorientated because they have expanded into the adjacent property and moved the tasting facilities into a new building, an 1830’s farmhouse they christened "Dutchman’s Creek Tasting House". Clyde and Terry Housel were also both in the tasting room and Terry guided us through the wines. And we really love these wines, not only their quality but also the range in varietals. As Virginia moves into the Vinifera world, many are replacing hybrids with Bordeaux grape varieties. Not at Hiddencroft. Yes they produce a mighty fine Chardonnay, Cabernet Franc and Tannat (one of the few 100% varietal Ta nnats in the state), but there are few places in Loudoun where you can sample a Vidal Blanc, Traminette, and Chambourcin, as well as a range of fruit wines. The Traminette was a real surprise, produced dry with a powerful floral aroma that seizes your attention, then mellows into the spicy Gewurtz flavor. Very nice. And the fruit wines are delicious - made sweet but with enough acidity for balance. The Blackberry was the bomb: it has the fortified raisin flavor of a port - without the alcohol. And the blackberries are grown on the estate. The Raspberry Chambourcin Vitis Rubus is another fruit wine worth savoring. I think Hiddencroft has it all, dry viniferas for the "serious" wine consumer and flavorful and enjoyable hybrids and fruit wines for the casual wino. Cheers. For those who missed last night's #winechat on Riesling or, like me, had a difficult time following the many conversation flows, here is a general outline of the chat. dvinewinetime @myvinespot < Thnx 4 the follow! See you on #winechat this evening! Salute! RickGriffin Looking for my corkscrew - #Winechat is about to begin! mariepayton Welcome to #winechat! Tonight we’re talking about Riesling! HennArtOnline RT @RickGriffin: Looking for my corkscrew - #Winechat is about to begin! mariepayton Welcome! What's in your glass tonight? RT @SMCBarros: Hi #winechat! AydinOdyakmaz #Winechat just joining in for a few minutes. Riesling is one of my wife's fans. The #Washington & #BC areas do it nice. happyhourmary @RickGriffin @mariepayton @mmWine writing down Dr. Loosen, which is why I love #winechat!! jacswineblog @dirksomm #winechat Can’t go wrong with Zind-Humbrecht! jacswineblog @winecompass #winechat Dr. Hans Von Muller - great for the price point ($11ish here in NY) poured it for a dessert pairing party, was a hit! ColleenHawk RT @RickGriffin @ColleenHawk No, but I do recommend Relaxing with a Riesling:) #Winechat // Ah yes, there is that, too. RickGriffin RT @mmWine: @SimplyGrapes Thank you. I've already passed the 1st level. I'm working on certified for August. #winechat << You ROCK! ChefChrisMartin @mariepayton @mmWine @TylerOnWine just cleaning up dinner...how's #winechat? Im not a Riesling fan but can you recommend good one? jacswineblog @happyhourmary @winecompass #winechat paired Auslese w/ Poire Williams spice cake & blood orange vanilla cake, did very nicely that night! VinoCC @cono_sur that sounds lovely! #winechat tasted some of @vinelandestates ice wines in Sept. Delicious! KenTruffen @abryksa: anyone view Citronella or Kerosene aromas in Riesling as faults? #winechat RT I'd say no, its the nature of riesling, not fault. AydinOdyakmaz @mariepayton #winechat, Riesling spicy food and easy sipping comes to mind. Give me top food pairing with it. ElinSilveous At wine tastings, I usually skip over the whites. Because of tonight's #WineChat I'll try the whites & learn. Thank you. WineEveryday RT @KenTruffen: "@abryksa: anyone view Citronella or Kerosene aromas in Riesling as faults? #winechat" RT I'd say no, its the nature of riesling, not fault. jacswineblog @mariepayton #winechat love Rieslings with spicy foods, esp. Thai! Probably my go-to w/ Thai is Pierre Sparr Alsace Riesling. winterthur RT @RickGriffin: I'm pairing my empty riesling glass with a full glass of pinot noir:) #winechat #AllOutOfRiesling | Pass the Chardonnay! MikesMRwineguy @swirlgirldenver "@mariepayton: Tryin Riesling ovr summer I noticed tht wine glass shape had big effect on mineral aromas/flavors #winechat"
SimplyGrapes All this #winechat is making me hungry for Thai food and more Riesling of course. WineHouseLA In talking about #Riesling, cant forget the ones from Alto Adige Italy. #winechat. mariepayton Not familiar - tell us more! RT @WineHouseLA: In talking about #Riesling, cant forget the ones from Alto Adige Italy. #winechat. ElinSilveous Me too! RT @SimplyGrapes: All this #winechat is making me hungry for Thai food and more Riesling of course. GreystoneEstate RT @WineHouseLA In talking about #Riesling, cant forget the ones from Alto Adige Italy. #winechat. dvinewinetime Thanks to everyone on #winechat 2nite for knowledge & recommends on Rieslings! gotta call it a evening! Cheers! HennArtOnline RT @dvinewinetime: Thanks to everyone on #winechat 2nite for knowledge & recommends on Rieslings! gotta call it a evening! Cheers! mariepayton Thaks for stopping ny! RT @dvinewinetime: Thanks to everyone on #winechat 2nite for knowledge & recommends on Rieslings! GreystoneEstate RT @dvinewinetime: Thanks to everyone on #winechat 2nite for knowledge & recommends on Rieslings! gotta call it a evening! Cheers! pja477 I shouldve tired a new #Riesling for tonight instead of ones I had before #winechat..thx for everything tonight! mariepayton Last thoughts on Riesling before another #winechat wraps up? jacswineblog @winecompass #winechat I’ve had a sparkling Riesling, the Deinhard Lila German Sekt, lovely with crispness laced w/ honey notes. WineHouseLA @mariepayton #winechat. One of favorites is the Koferhof #Riesling. Bone dry, steely , clean and mineral with lemon zest and petrol. TylerOnWine The honeyed aspect sounds nice RT @jacswineblog: @winecompass #winechat Deinhard German Sekt, lovely with crispness laced w/ honey notes. WineHouseLA #winechat. Thanks all for another great evening. See you next week. AydinOdyakmaz Was nice checking out those drinking tonight on #winechat getting off the weekday drink . Saving it for the weekend . WineEveryday @mariepayton @997Dave ~~ Thanks for another #WineChat Marie & Dave Cheers! UCBeau RT @SMCBarros: #winechat what's the oldest Riesling anyone has had? I've had back to the 70's... - a TBA from 1949 or 1950, stunning. ElinSilveous @997dave We missed you at #WineChat Hope you're having a great time. SimplyGrapes Thank you to @mariepayton for #winechat. Great to connect as well: @pja477 @myvinespot @HennArtOnline @VinoCC @ElinSilveous Cheers! WriteforWine @mariepayton Sorry I missed #winechat - what time does it start on the west coast each week? mariepayton 6pm PST! RT @WriteforWine: @mariepayton Sorry I missed #winechat - what time does it start on the west coast each week? jacswineblog @TylerOnWine @winecompass #winechat had the Deinhard Lila Sekt after a few bottles of Taittinger at a party, honey notes were perfect then. mmWine #winechat RT @DrinkerX: @mmwine @KVintners the 2010 Kung Fu Girl is really quite tasty. Great tangy finish. I highly recommend it. WineKate “@MarkVogler: Hey where's @winekate ? She can tell us a thing or two about Rieslings! #winechat” only 1 of the best white varietals! MarkVogler RT @WineKate: “@MarkVogler: Hey where's @winekate ? She can tell us a thing or two about Rieslings! #winechat” only 1 of the best white varietals! CinziaRolling #winechat help? RT @wingspouse: Any suggestions on where wine lovers can go for a great anniversary weekend? My sister's 25th is coming up..
HelloVino @MatthewLiberty Dude. Thanks for mentioning the #wine shipping blog post during #winechat - You most certainly rock. mariepayton City? RT @CinziaRolling: #winechat help? RT @wingspouse: Any suggestions on where wine lovers can go for a great anniversary weekend? jacswineblog Such a fun #winechat tonight re: Riesling...great topic, great discussion! 2ndferment @mariepayton I'm too late for the #winechat, but Ontario does great Riesling too! mariepayton Thx for sharing! RT @2ndferment: @mariepayton I'm too late for the #winechat, but Ontario does great Riesling too! AlsaceFest RT @jacswineblog: Such a fun #winechat tonight re: Riesling...great topic, great discussion! SAuerswald I think this turned into #winechat along the way... RT @xoj9: @DesireeEaglin @MomsLA #momslachat always wine available here - come on over! DesireeEaglin RT @SAuerswald: I think this turned into #winechat along the way... RT @xoj9: @DesireeEaglin @MomsLA #momslachat always wine available here - come on over! brigittaLA RT @SAuerswald: I think this turned into #winechat along the way... RT @xoj9: @DesireeEaglin @MomsLA #momslachat always wine available here - come on over!